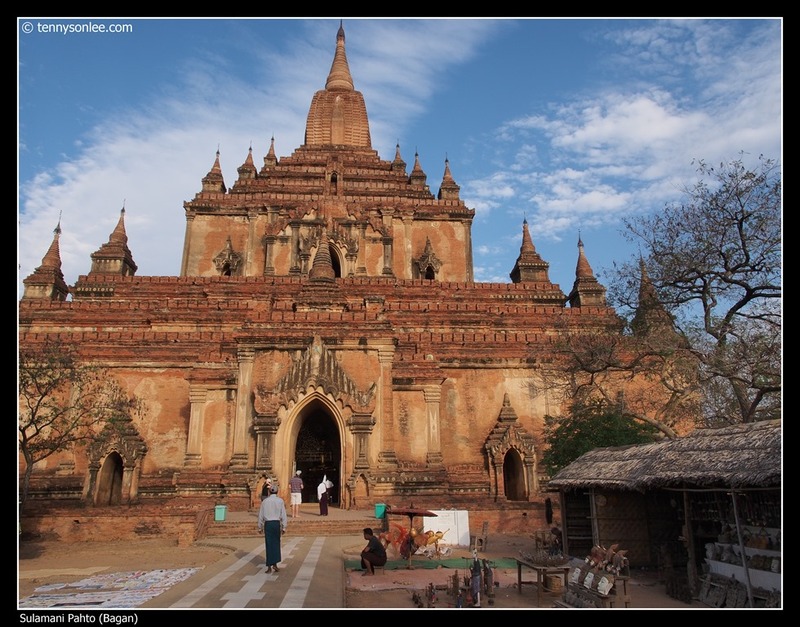 One of the larger temples in Bagan constructed in 1181. Sula-mani means small ruby in Burmese, or the ‘crowning jewel’. 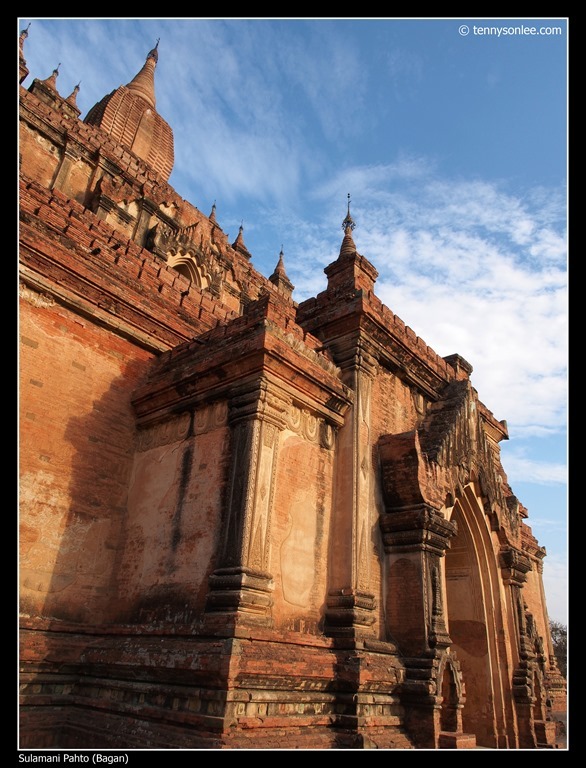 King Narapatishithu found a ruby at the current site and decided to build a elaborate temple to mark his good fortune. Sulamani Pahto is 2-storey brick building. 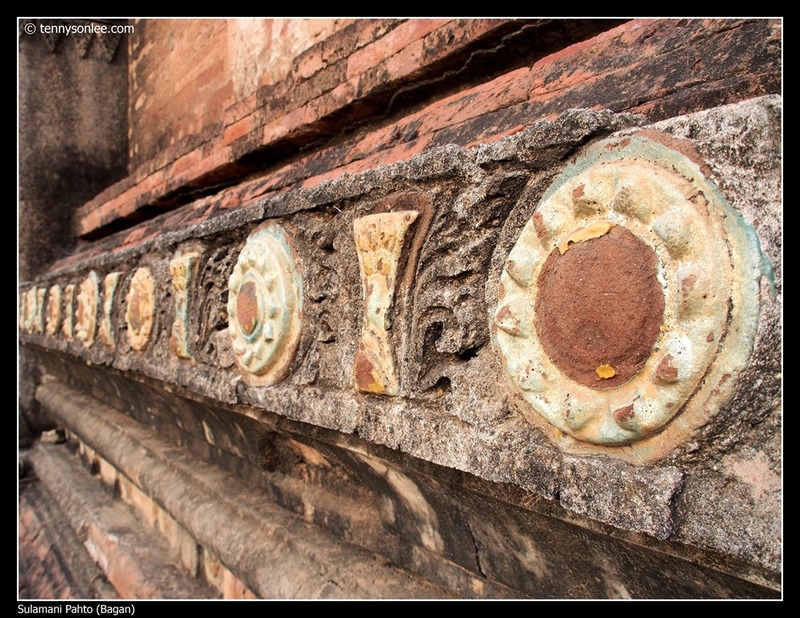 We walked around the exterior compound (spacious), some decorative glaze plaques are still visible. Before we could tour the interior, our driver come and fetch me to see the ‘cow come home’. So we rush to Pyathada Pagoda to really see cows going home, and therefore we miss the opportunity for the interior views at Sulamani Pahto. 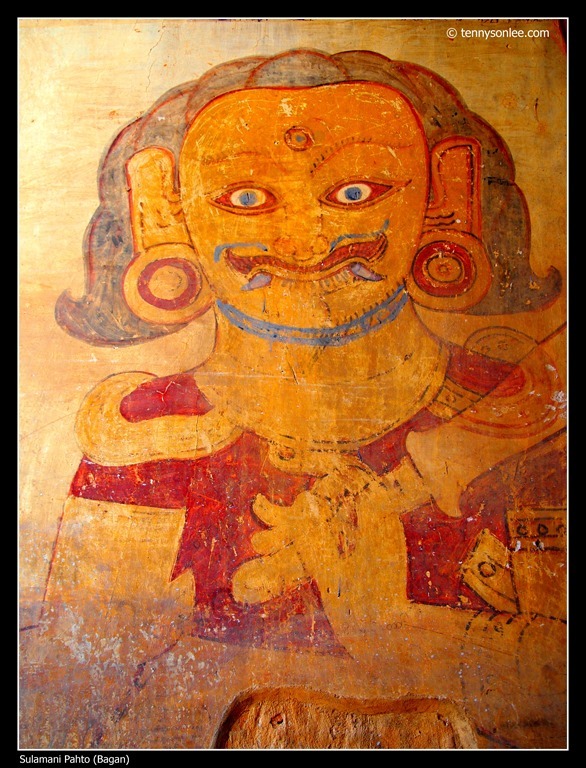 i only managed to have a glimpse of a faded mural at one of the side entrance. 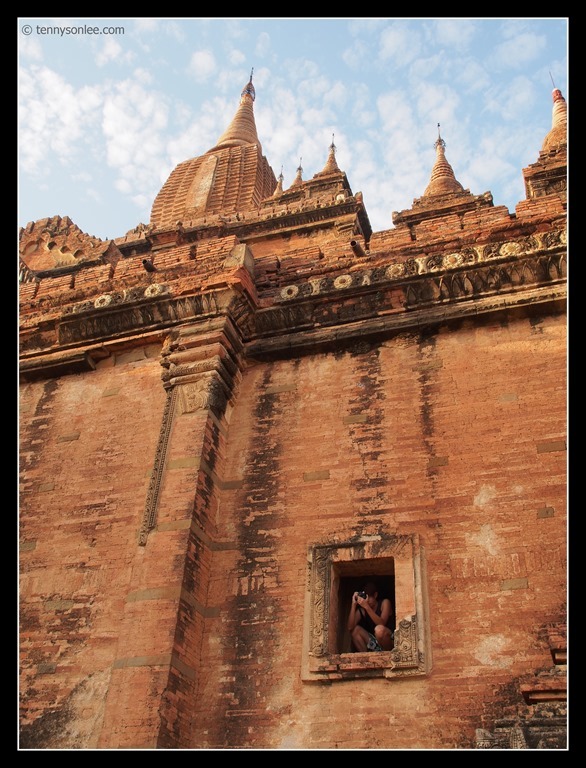 To bad we miss the tour but hey, there are still plenty of Buddha image in Bagan. The temple could be viewed from far. The evening sunlight brought out the texture of the brick works. 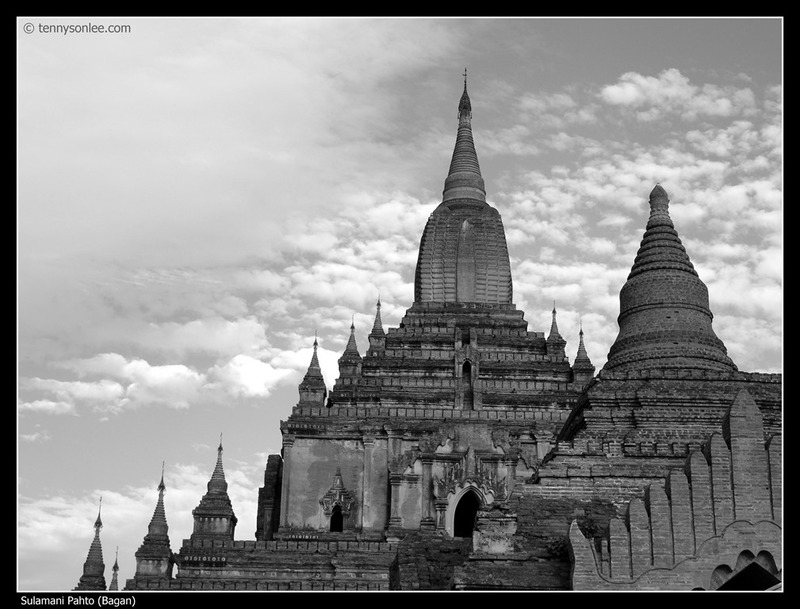 This entry was posted on February 14, 2013 by Tennyson. 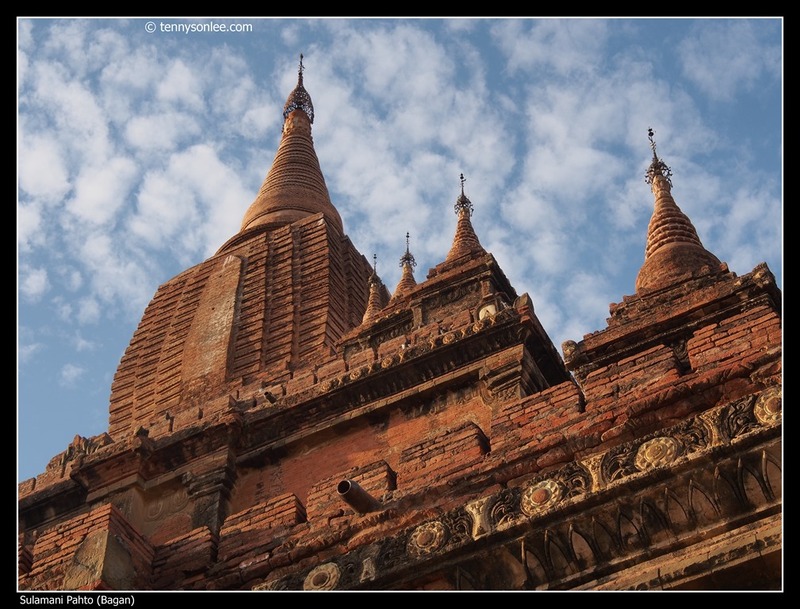 It was filed under Architecture, Bagan, Culture and Religion, Myanmar .